Matthew Hill, had always dreamt of being able to dive off the Great Barrier Reef. So together with the hospice, Truvision planned a little surprise to make Mr Hill’s dreams a (virtual) reality. Recently St. Luke’s Hospice learned that one of their patients: Matthew Hill, had always dreamt of being able to dive off the Great Barrier Reef. So together with the hospice, Truvision planned a little surprise to make Mr Hill’s dreams a (virtual) reality. 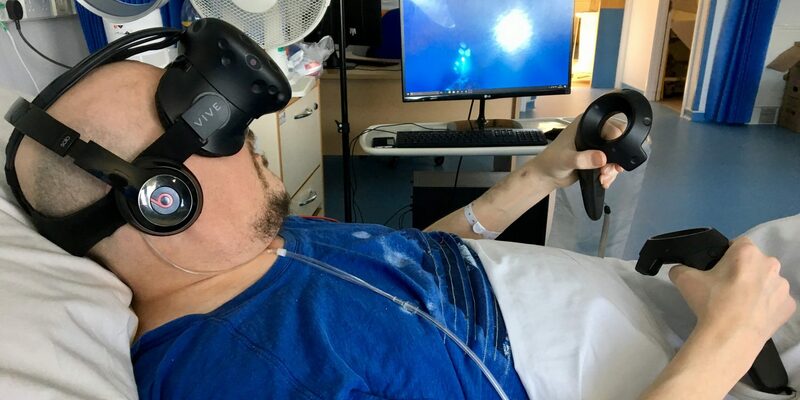 TruVision made a personal visit to Matthew in the hospital and, on their visit, they brought him ‘The Blu’ virtual reality experience, developed by WeVr giving Matthew his dream, allowing him to explore the stunning reef in all its wonder. The TruVision team were extremely happy to see Matthew be able to live his dream. It was an amazing experience to be able to give back to the highly supportive local community and do something very different and special.